For all our friends in Canada and the U.K., boxing day this year will arrive on December 26th, 2016. It’s actually not a fixed date which means that because it’s a public holiday, if the 26th falls on a Saturday or Sunday, it’ll be moved out the first weekday following the weekend. In years past, Boxing Day was a day when all shops would be closed. However most recently, boxing day is when post-Christmas sales begin (comparable to Black Friday in the United States). You’ll even find that brands that nearly never have any promotions will offer a discount on this day (like our favorite, Lush Cosmetics). Some stores will have extended or early holiday hours while other shops may be closed, so be sure to plan accordingly if you plan on leaving the house today. Of course all public and government institutions will be closed on this day, as will be most employers outside of the retail and dining industries. 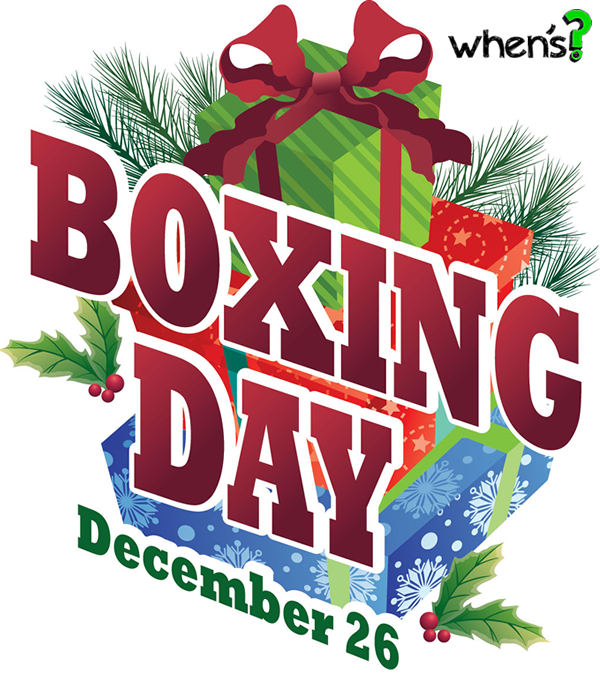 In terms of the history of Boxing Day, we won’t go into the details here but you can read up on them on Wikipedia. What are you planning on doing on Boxing Day this year? A nice lunch with family or planning on doing some shopping? Let us know in the comments below. For 2016, you’ll have a few extra days to file your 2015 personal tax return. Normally you have up until April 15th but because this year that falls on a federal holiday (on a Friday) and the deadline never falls on a weekend, the date is moved out to Monday April 18th, 2016 at 11:59PM local time. Certain individuals are excluded from this deadline and may qualify for an automatic extension like those serving in the military in a combat zone and certain individuals living outside of the United States during the 2015 tax year. Of course or the rest of us that are not ready to file taxes yet, maybe because of some errors in your documents or still need to tax to your accountant regarding your specific tax situation, you still have the option to regent for a tax extension. If granted, that will give you an extra 6 months to file but you’ll just have to pay whatever you will owe to the government by April 18th to avoid any penalties and interest charges. You can learn more at irs.gov or file through popular tax software programs like TurboTax and H&R Block. It’s important to note that if you operate a business, the tax deadlines will differ. For Partnerships and S Corporations, the tax deadline occurs on March 15th, 2016. 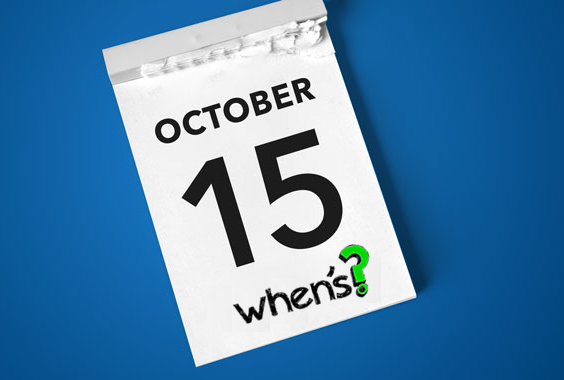 C-Corporations and FBARs (FINCEN Form 114) will have to file in April by the April 18th deadline. In terms of filing, you can either do it yourself or go to an accountant for help. Often the most cost effective choice is doing it yourself and thanks to the many at home options out there to choose from, it’s not only easy but not too expensive either. Most programs like TurboTax and H&R Block include free filing for simple returns, a support center for those that get stuck along the way, and even phone support for 1:1 help. Black Friday (aka. BF) will be on November 25, 2016 this year. 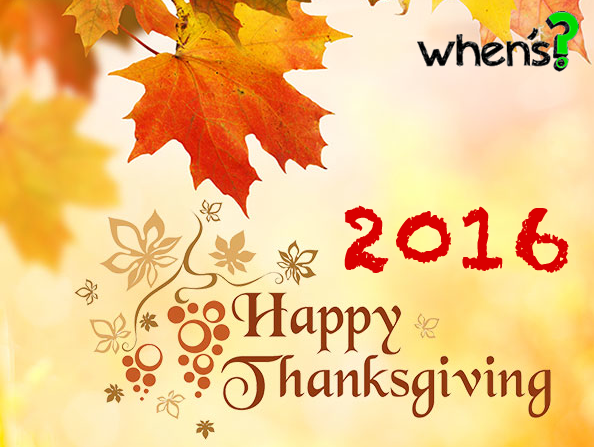 It falls on the day after Thanksgiving in the United States and is usually on the fourth Friday of November. That’s earlier than saw in 2015 and 2014 which means that this holiday shopping season will have a few extra shopping days before Christmas and Hanukkah. Black Friday is known as the unofficial start to the holiday shopping season. You’ll often be able to find bargain prices from many of the retailers and brands. Even though this is not a nationally recognized holiday, most companies close their offices on this day (excluding retail stores). Most sales start early in the morning, even as early at midnight, as stores open early for their doorbuster deals. You’ll also find many websites that exclusively track Black Friday ads as they get leaked, including BlackerFriday.com. In the recent years, many stores have extended their promotions beyond just on Friday. You’ll find online stores discounting the week on Thanksgiving all the way through Cyber Monday (that’s on the following Monday). Next year, Black Friday will fall on November 24, 2017. Here’s a look at the Black Friday dates in upcoming years. What made you look up when’s Black Friday? Are you already looking for those holiday deals or is it something else? Let us know why why you’re searching for Black Friday in 2016 in the comments section below!